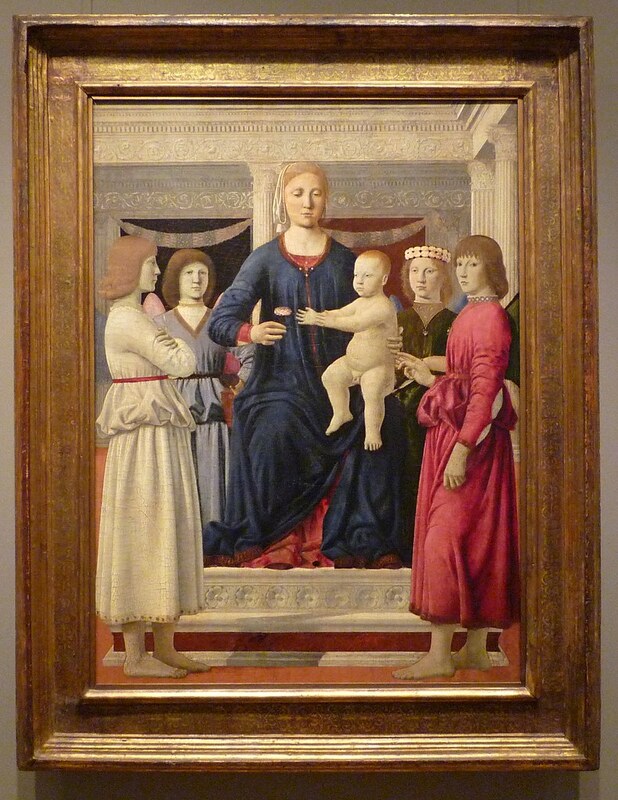 The Piero referred to in this blog’s title is the painter Piero della Francesca (c. 1412-1492), one of the masters of the early Italian Renaissance whose work I especially esteem. (For information on the banner image, see the caption below.) I dedicate the blog for his sake to commemorate the values he and his work represented— consummate skill and sensitivity in the embodiment of things of enduring human significance. * Since those values should adhere to the terms art and artist today, For Piero’s Sake aims in no small measure to serve as an antidote to the bogus art and pseudo artists dominating the contemporary artworld. Detail of Piero della Francesca’s Virgin and Child Enthroned with Four Angels (The Clark Art Institute). Photo © Mike Wegner, used by kind permission. Is Ai Weiwei an Artist? Ai’s reputation as a political dissident is undoubtedly well founded. It derives in large measure from his courageous activity in response to the horrific 2008 Sichuan earthquake that killed thousands of his fellow Chinese, including countless schoolchildren. In support of parents who blamed the government’s shoddy construction methods for needless deaths in the province’s schools, Ai provided an online forum on his blog for the Sichuan Earthquake Names Project. Defying government stonewalling, it served to publicize the names of deceased students throughout Sichuan province whose identity had been uncovered by an unofficial group of researchers and volunteers. Ai’s high-profile activism is largely credited with pressuring the government to release accurate figures on the death toll, which it had attempted to downplay. But is Ai Weiwei really an artist? That question can best be answered by a clear-eyed consideration of the work he has described as the most emotionally meaningful to him—his Snake Bag installation. As such, its meaning cannot be directly grasped or even guessed from the object itself. Who would think to connect a snake with the Sichuan (or any other) earthquake? When one looks closely, one can see that the snake is cleverly composed of backpacks. Yet even then, how would one guess that the backpacks were meant to refer to students killed in the earthquake? One wouldn’t. 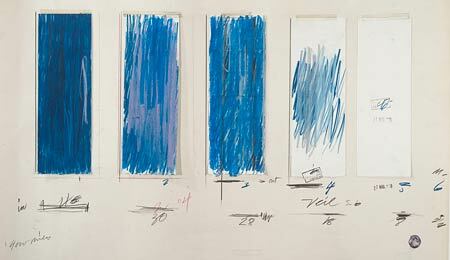 The piece’s meaning is conveyed by accompanying verbal accounts, not by the work itself. 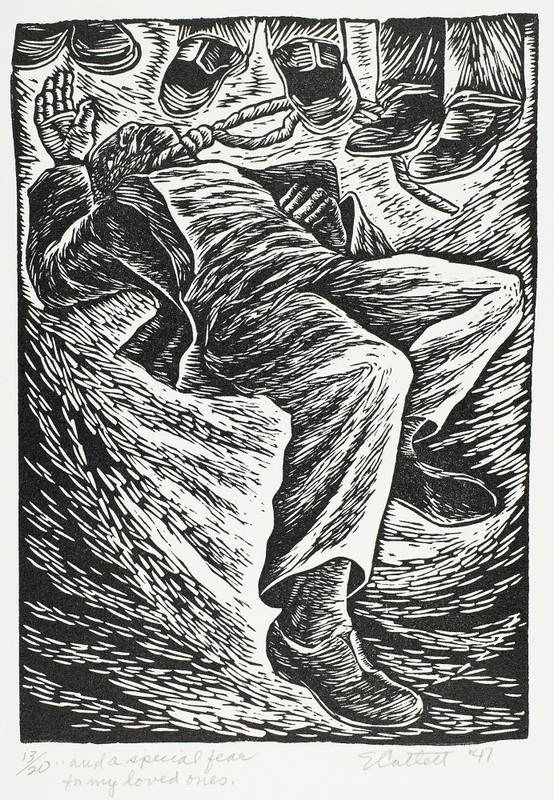 or Elizabeth Catlett’s And a Special Fear for My Loved Ones. One might not recognize the specific historic event that inspired the Third of May, for example. Yet the image movingly conveys the brutal terror inflicted by a merciless firing squad. And like all true art, it therefore has significance far beyond one moment in history. 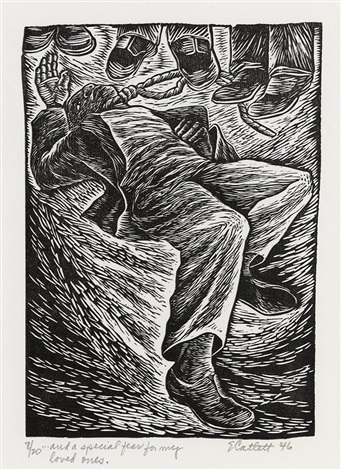 So, too, Catlett’s stark image of a lynched black man, sprawled beneath the feet of his executioners, chillingly embodies the horror and inhumanity of such an event, regardless of the particular circumstances. Why is the postmodernist genre of “conceptual art”—to which Ai Weiwei’s Snake Bag belongs—“spurious” in my view? Because it originated as one of many anti-art gestures in the 1960s, whose very inventor explicitly recognized it as something other than “art.” It is one of many ironies of today’s artworld that virtually the only “contemporary artists” who are taken seriously are those working in such anti-art genres! Last month I had the bittersweet experience of attending a small exhibition of botanical drawings and watercolors by my late friend Lucylee Chiles. The exhibition was held at Columbia University’s Teachers College, where Lucylee had earned her Ph.D.
Lucylee died exactly a year ago today, after a long and courageous battle against ovarian cancer. During the last two years of that battle, she had become happily immersed in the rigors of botanical art. It is a demanding discipline, combining scientifically accurate observation with artistic skill in depiction. She loved it. And her love of it showed in the meticulously rendered images I saw at T.C., some of which are reproduced below. The eldest child of Major General John (Jack) Chiles—who served on Douglas MacArthur’s staff in Tokyo after World War II—Lucylee had developed a passion for art as a child in Japan. And in her adult years she taught art in exotic locales around the world, continuing the peripatetic life she’d become accustomed to as an army brat. She was among the last Americans evacuated from Iran after the Khomeini coup in 1979—one of several close calls she had in an adventurous life. In her final decade, she signed on with cruise ships to give watercolor lessons to novice passengers, traveling as far as Tasmania on one of her last voyages. working towards a certificate in botanical illustration at the NY Botanical Garden. Having to go to the Garden regularly is a delight. Find I quite like drawing with a magnifying glass—the polar opposite of the fast and loose style I teach on the cruises. What that note didn’t mention was that the treks from her apartment on Morningside Heights to the Botanical Garden in the Bronx were sandwiched in between bouts of chemotherapy, with their unpredictable toll on her energy and well-being. But the art vitalized her. And she was eager to share her excitement over it. In the fall of 2012, she invited me to attend the 15th Annual International Exhibition of the American Society of Botanical Artists with her. When I responded enthusiastically to what we saw there, she was clearly pleased. And when I told her, on a visit to her in the hospital only a few days before she died, that a little exhibition of her own work might be planned at her alma mater, her face visibly brightened. I must add a sadly ironic note here about what art education students at Teachers College are now learning. The contrast would surely not have been lost on Lucylee. She often deplored the lack of standards in today’s artworld. From time to time, she’d send me a news clipping that touted some dubious work—having annotated it with a few words of scathing critique. Evidence of the current drift in art education stood in the room just next to the one containing Lucylee’s botanicals. It was the arrangement of table and chairs pictured here. Items on the cluttered tabletop included half-empty beer mugs, some playing cards, and ashtrays heaped with cigarette butts. Who were these celebrated “influences” in the eyes of aspiring K-12 art teachers? In particular, Andy Warhol (who once said he didn’t “love roses . . . or anything like that enough to want to sit down and paint them lovingly and patiently”), Jackson Pollock (of drip-painting fame), and the (occasionally pornographic) photographer Robert Mapplethorpe. Saddest of all, it was clear from conversation at the show that neither the students nor their professor-mentor had any inkling that the “art” represented in and by that crude little installation (so typical of today’s “conceptual art”) is, in effect, a travesty of all that Lucylee had striven for as a teacher and in her own art. Anyone who has bothered to read her writing on aesthetics (much less my work about it) knows that no one would be more stunned by the alleged Kantian connection than “Ann Rand” herself! I don’t mind slings and arrows—I only wish that the level of scholarship were a bit higher, and that the names could at least be spelled right. Professor Duncum is shocked that my definition of (fine) art excludes photography and “abstract” work—though he has never bothered to consider my reasons for doing so. In truth, as I note in Who Says That’s Art?, he is among the all-too-many these days who, while charged with the training future of art teachers, are more concerned with consumer goods, popular culture, and critiques of capitalism than with “art” of any kind. In this first blog post, I’m pleased to trumpet the release next week of the book I’ve been working on for more than a decade: Who Says That’s Art? A Commonsense View of the Visual Arts. As emphasized in the press release announcing publication, the book throws down the gauntlet to the contemporary art establishment. I look forward to a lively debate regarding the challenge I’ve posed. I will use this space to refine and expand upon the argument presented in Who Says That’s Art?, as well as to offer further observations on the world of art, past and present. I invite readers to comment, pro or con, provided they do so civilly—under their real name, unless there’s a compelling reason not to do so.